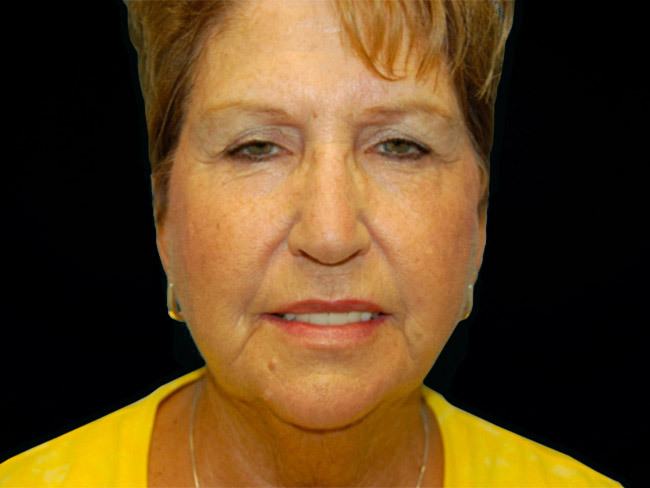 This 59-year-old woman from Santa Fe, NM was seen for facial rejuvenation. She desired a more youthful and invigorated appearance of her face, but did not want the “operated” look. 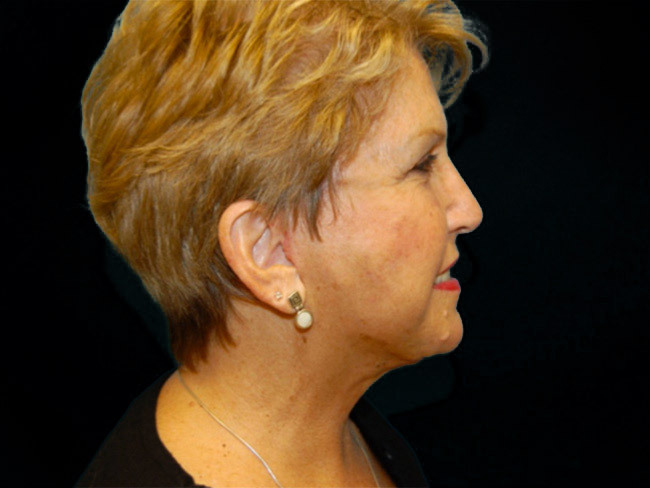 We discussed her goals and reviewied the various facial contouring options available to improve her appearance and proceeded with a minimal scar facelift to tighten the underlying facial structure and improve the facial laxity, wrinkles, and improve her jawline. To aid with adding a rejuvenated appearance of these areas, which is highly desired for facial rejuvenation, micro fat grafting to the lower orbital area and the cheeks was used as an adjunct. 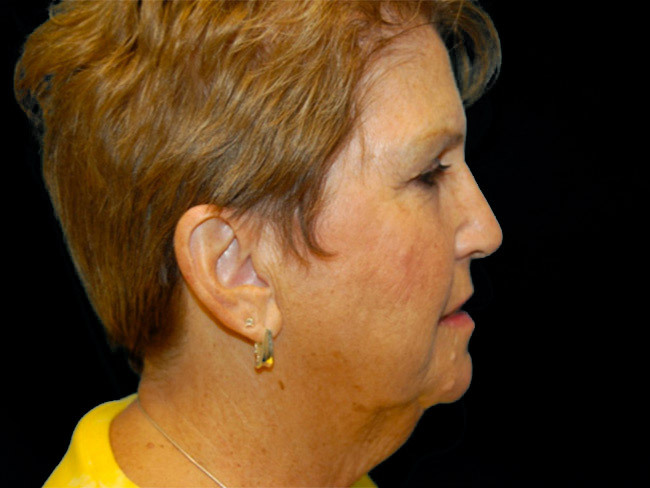 Postoperative photographs at 2 years following these procedures show improved contour and appearance of her face and jaw. She is very content with her restored facial appearance along with accomplishing her wishes to obtain a gentle, yet recharged appearance. 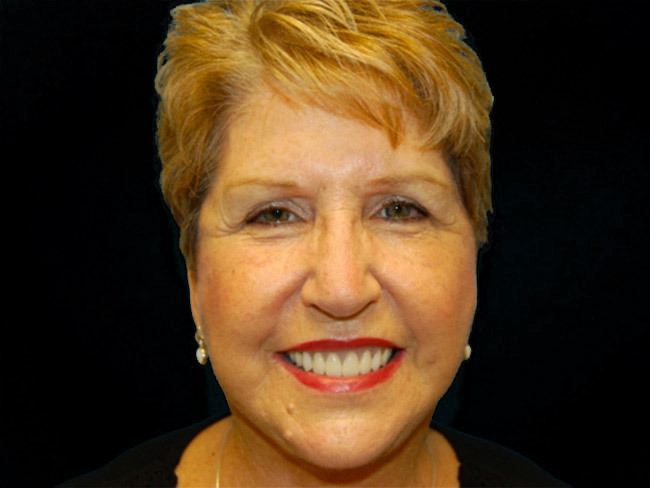 She states that nobody knows that she had anything done due to the modest, “non-surgical” appearance of this minimal facelift technique along with its minimal downtime.